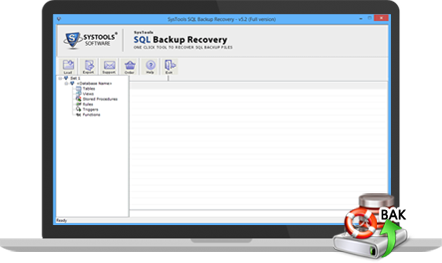 Restore SQL Server Database from Backup File with the Most Advanced SQL Backup Repair Tool. Repair corrupt .bak file of SQL Server 2017 & all below versions. Restore database objects like Tables, SPs, Triggers, Views, Functions. To know how to restore SQL Server backup file when affected with corruption, users are recommended to get the right solution as well. SQL Server Backup Recovery Software is amongst such external solutions that has been consistently offering an authentic solution to users. Database getting corrupted is a common scenario and is faced by SQL users quite regularly. But in order to assure the safety of such a critical set of database a backup of the same had also been maintained. The only situation where crisis is actually encountered is where you not only lose access to your database but also to its backup copy. 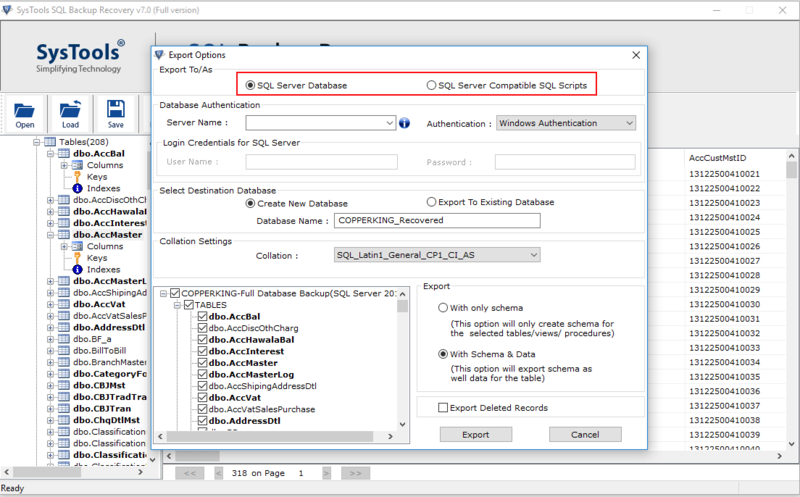 Hence, the SQL database .bak file restore solution has been introduced so that users can conveniently be aware about how to restore SQL Server database from backup file. SQL .bak file repair tool completely restore SQL Server database from backup file. It includes Tables, triggers, stored procedure,etc. key elements. 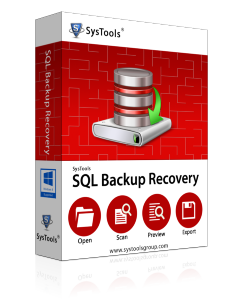 SQL Backup Recovery Tool perfectly recover SQL .bak file and all the files which get save in it like MDF & LDF file of any size as well as restore it in simple way without any loss. 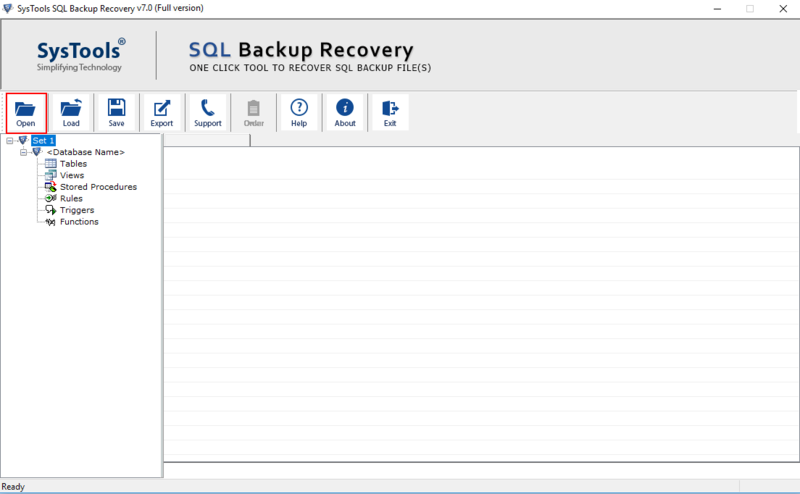 To validate the recovery process, the SQL backup repair tool provides preview of recovered items with their entity like Tables, Triggers, Stored Procedure, Rules and Views. 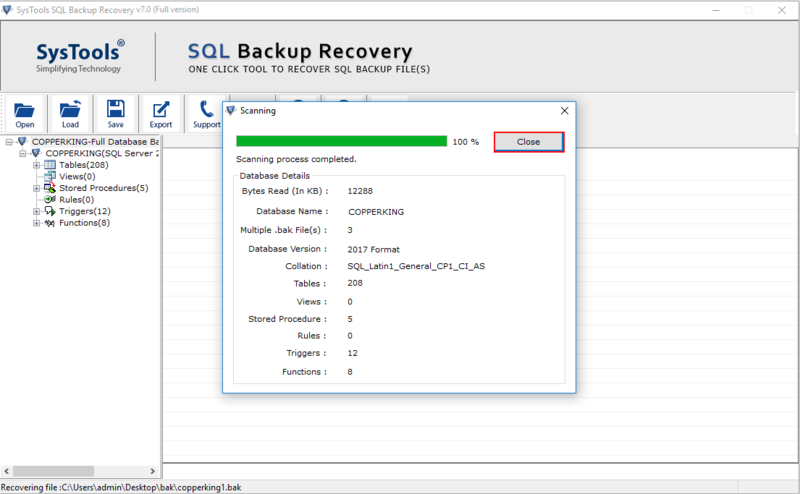 SQL .bak Recovery Tool provides the simple and easy way to export the recovered database from corrupt backup file directly to SQL Server or SQL Compatible script. While using export option tool provides two options for easy transfer of recovered .bak files with Schema or with Schema + data. This feature allows to carry out selective items export by which few selected elements of back database can be export to respected destination. Well this option helps to perform multiple .bak files restore process in quick and reliable way. Thus users can recover mutiple backup files. SQL Backup Recovery Software is well collaborated and is well confined upto SQL Server Version 2017 and Windows Operating System version 10. Why Use SQL Backup Restore Tool? When situation worsens from database corruption to database backup corruption, its time to take some better actions. In most cases where backup file corruption is encountered, an erroneous message is displayed. The media family on device 'D: \TestDB.bak' was created using Microsoft Tape Format version 1.22. SQL Server supports version 1.0. Cause: This error might come up when the backup has been created using a different version of MS Tape Format while the Server is supportive towards a different one. This situation may make you enquire how to restore SQL Server backup file. However, manual procedures are available for carrying out the recovery of SQL backup file. Amongst such procedures is renaming SQL backup file and recovering the backup using scripts and queries. But it is recommended that users must only make use of a third party application like SQL backup repair tool to execute the respective procedure. 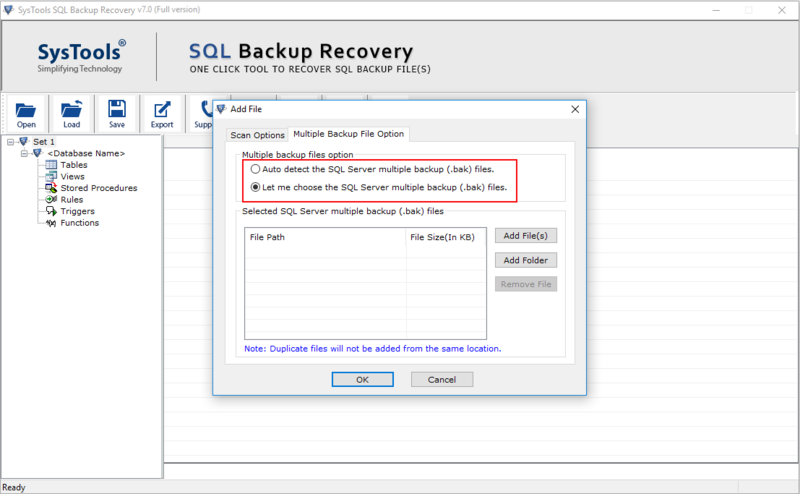 The SQL backup recovery tool proffers absolutely user friendly steps for the recovery of backup file which makes it easier for the users to know how to restore SQL Server database from backup file quickly. How to Repair Corrupt SQL .bak File? Demo version gives the preview of recovered .bak files only & exports only 25 records of each table and 5 other categories. NOTE :- To Export & Save must go with the licensed version. Can I Repair Corrupt SQL .bak file using this SQL .bak Recovery Tool? Yes, the software is able to Repair SQL Server Backup file from all levels of Corruption. Can I Restore Corrupted .bak file without Installing SQL Server on My Machine? Yes, SQL Backup Repair Utility is Capable of Restoring SQL Server Database from a Corrupt Backup file without having SQL Server Environment. Can I use SQL .bak file repair tool to Restore .bak file of SQL Server 2017? Yes, the tool can Restore .bak file of 2017, 2016, 2014, 2012, 2008 and all below versions of SQL Server. Can I use this Backup recovery Software to Restore Corrupted .bak file of any Size? Yes, the SQL backup repair tool is capable of restoring database from .bak file of any size. I want to express word of thanks to developer team for developing useful SQL backup recovery software that helped me to restore SQL Server database from backup file. I have multiple Backup files and fail to detect the location of same to recover data but 'Auto Detect location' option of tool helped me to automatically detecting the location of unknown .bak files. I have corrupt SQL backup files of about 18 GB and worried about recovery of them. But thanks to this SQL backup repair tool that provides me complete recovery of .bak files of such huge size without any sort of complications. All the data recovered are accurate and complete, keep it up guys!